Close up of the Ocutech 3x VES Mini with focusing knob at the very front. The widest field of view ever! There is no smaller, lighter weight, wider field Keplerian bioptic than the Ocutech 3x VES-Mini. The VES-Mini is only half the size of traditional Keplerian telescopes, weighs less than an ounce, and focuses quickly to as close as 9 inches! 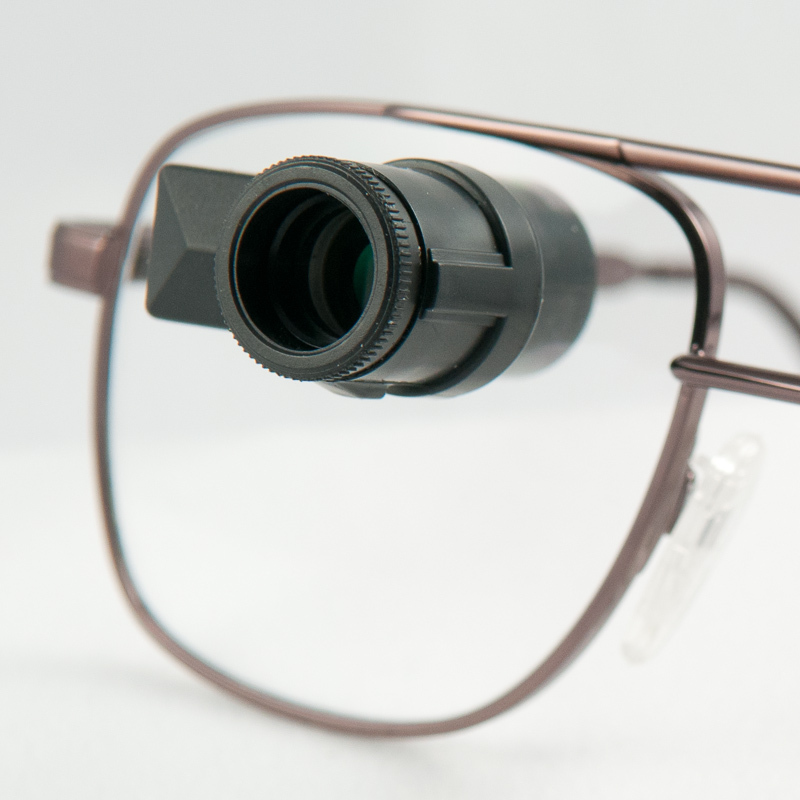 It is prescribed in a traditional through-the-lens mounting design, and can be prescribed for one or both eyes. It’s available in both black and silver. 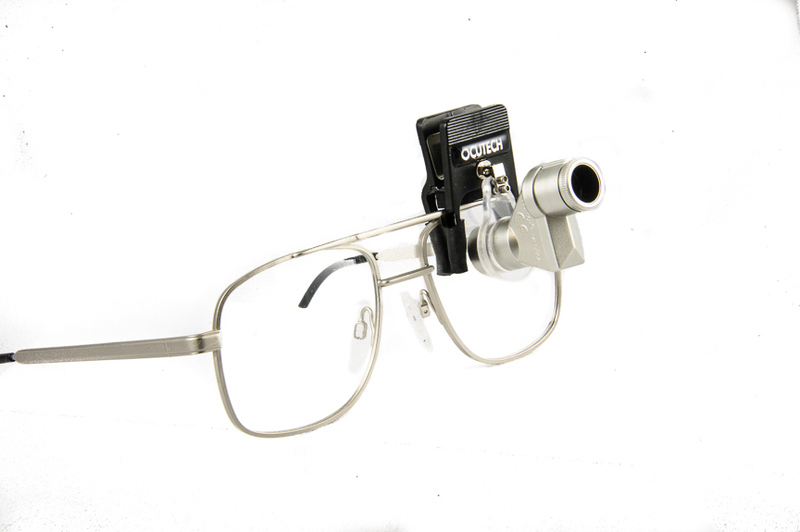 It is very popular for bioptic driving and ideal for individuals with moderate vision loss of 20/150 or better.